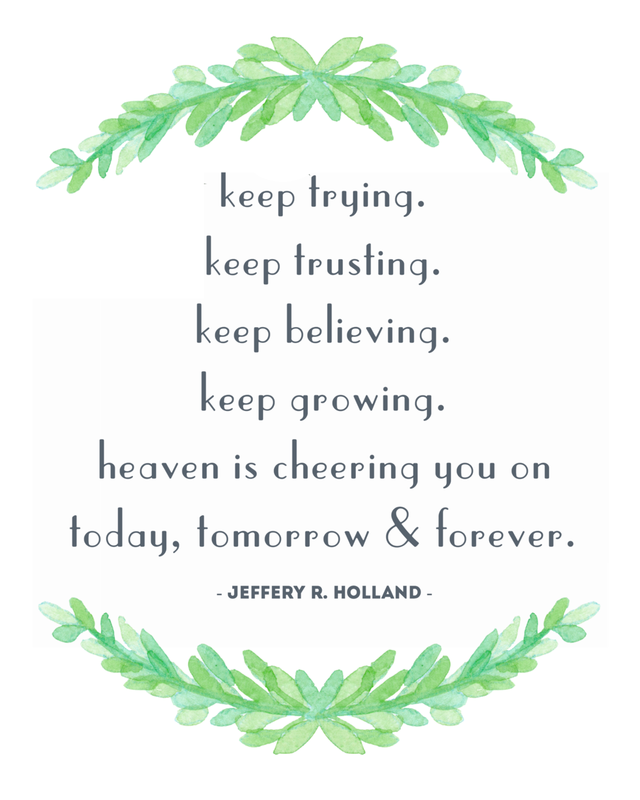 It was so nice to unplug and be inspired throughout general conference this last weekend. It was just what my soul needed. These five quotes are just a few of the things the general authorities shared that touched my heart. 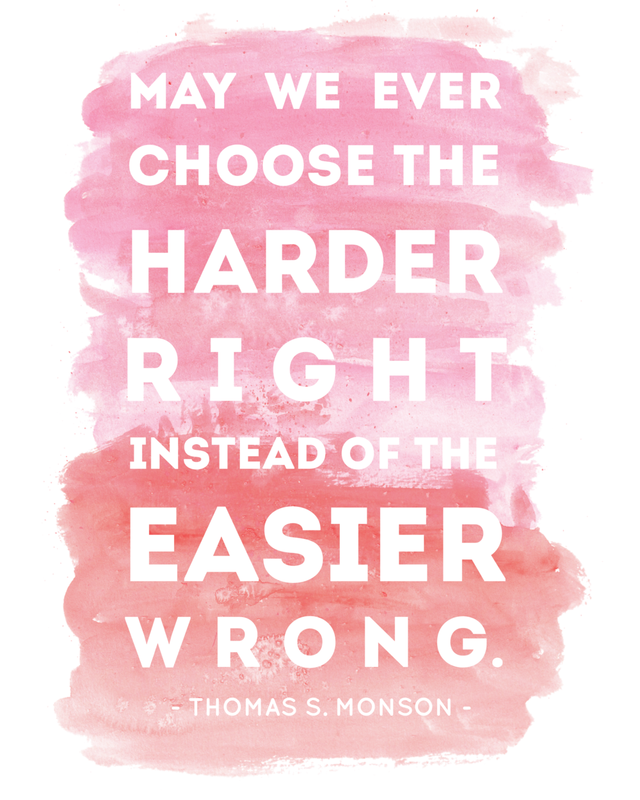 I was especially grateful for the short and simple words spoken by the prophet of the Church of Jesus Christ of Latter-Day Saints, Thomas S. Monson during the Sunday Morning session. It was a message of encouragement to always choose the right. 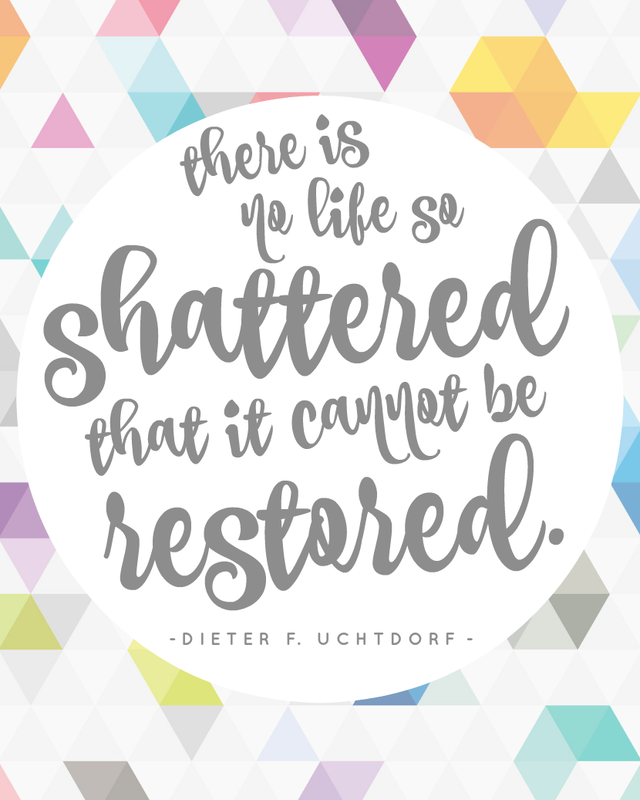 If you missed any of the sessions or are interested in watching these inspiring messages, you can view them all on LDS.org. 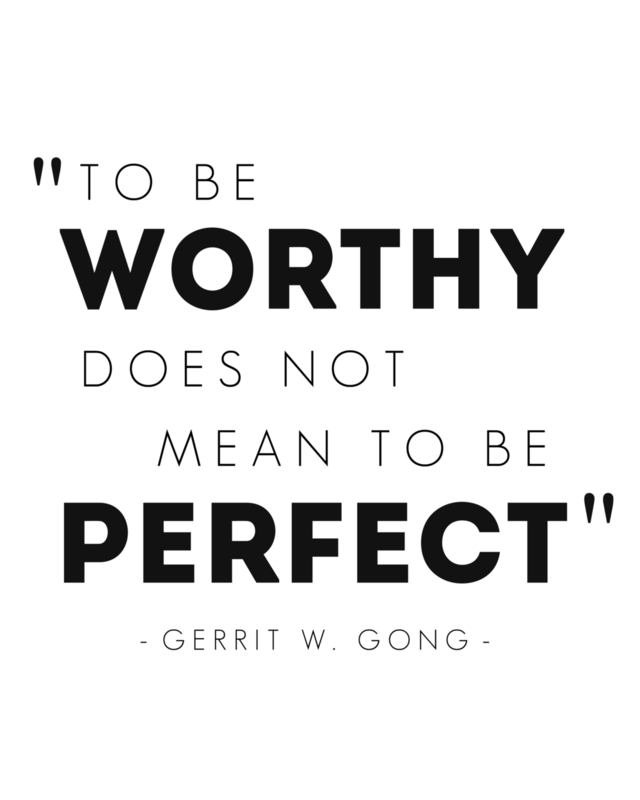 I love that through the spirit the words of the prophets, apostles and church leaders can speak right to our hearts in a very individual and personal way. What's amazing to me is that so many can be touched by the exact same phrase, but still get something completely different from it. I'm so grateful for my faith and the comfort it gives me on a daily basis. It's such a deep rooted part of my life and I hope it stays that way forever. I know that my belief in God and my Savior has blessed my life as I strive to be my best self. I hope that this blog helps others feel happy and inspired on a regular basis. That it encourages others to keep trying to be their best selves, in whatever way they think that is achieved. Regardless of faith, background, or differences. I hope that it encourages others to live what they believe and not be ashamed of it. If it brings you joy, share it with others! That's what I'll be trying to do my whole life long. Now, here are the links to download each of my 8x10 printables. I hope you'll print them out, hang them up, and feel inspired all year long! And if you don't want to ever miss my other design freebies or posts, subscribe to my email list as well! Thank you so much! Head to your email to confirm your subscription, then you're set. So happy to have you following along! I hope you all had an amazing weekend and week so far! Thank you to all my readers for your support and community! I love the people I've been able to meet and associate with through this little blog of mine. Thank you! Thank you!